Hitting the road (or trail) on a motorcycle can make you feel like a modern day cowboy chasing the sun into a horizon of new experiences and foreign places. I think just about every motorcyclist will agree with me in saying that there’s an air of adventure that is inherently built into every bike. Whether it’s on or off-road, motorcycles can take you places in a way other vehicles cannot. With dreams of riding through some of the most picturesque terrain that California and Baja Mexico have to offer, four mates devised a plan and shipped their old Harley-Davidson Panheads from Australia to California. Over the course of three weeks, friends Cohen Arthur, Ben Keevil, Kane Rafton and Tim Caraco traveled up the coast from Los Angeles to San Francisco, all the way back down to the Baja Peninsula of Mexico and just about everywhere in between. To make this journey on new motorcycles would be a feat in and of itself, however these adventurous Aussies did it on 60+ year-old bikes, adding a whole nother level of “what could possibly go wrong?” to the trip. Riding around town on an old chopper is one thing, but casting off into the sunset and laying down a couple thousand miles through desolate terrain is another. Left to their own devices and the help of new and old friends they met along the way, the crew was able to keep their vintage choppers rolling down the road, which is no easy task. With limited access to parts, garages and tools, sometimes they had to get creative with their roadside repairs. Any adventure wouldn’t be complete if you didn’t find some sort of trouble along the way though, right? From bikes that tragically caught on fire, to crack-head motel managers, to shotgun-wielding Mexican gangs – the guys certainly found themselves in some interesting situations. But at the end of the day, all this added to the excitement of the adventure and on the bright side, no one died; so it’s all good. 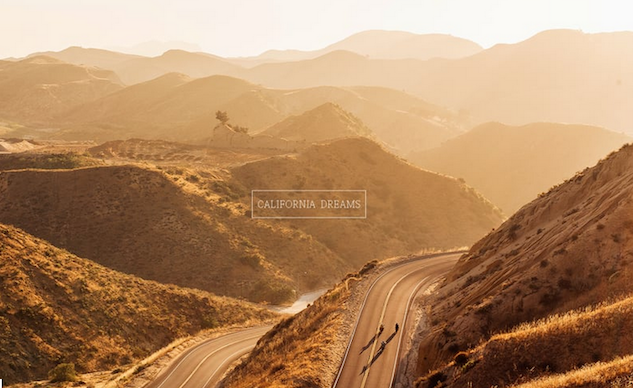 I highly encourage you to set aside twenty minutes to check out California Dreams, a full-length video of their trip filmed and edited by Tim Caraco. The film does a great job capturing the essence of adventuring and exploring new places with your friends on motorcycles, as well as all the challenges and triumphs that are sure to come with it.